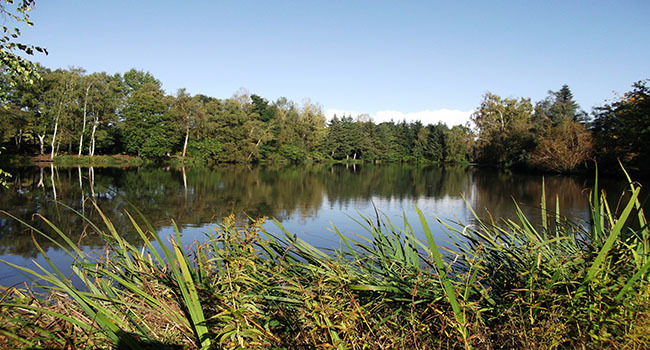 Exclusive use of Genets Carp Lake including accommodation & optional meals for up to 4 people. 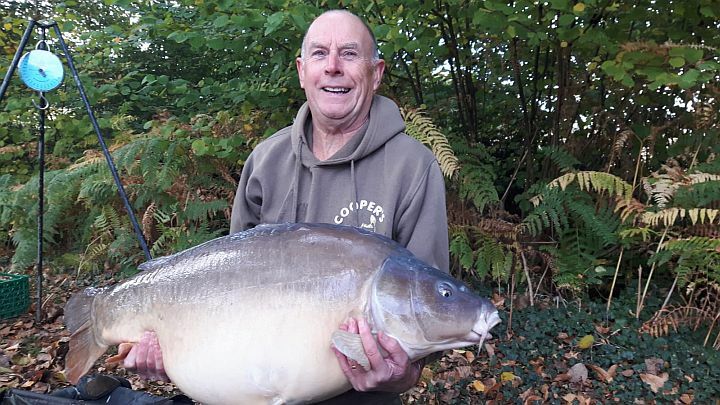 Established as a Carp Fishing Lake since 2004 with a stock of truly stunning Carp to over 60lb in the peaceful Mayenne region of France, a perfect setting for your Carp fishing holiday in France. Nearest ferry port 1 hour 35mins. Genets carp lake is a 60 year old man-made carp lake of just over 5 acres, fed by a natural spring, with a silt over clay bottom. The anglers lodge with showers & toilets is situated on the far bank overlooking the lake. We always hold stock of the following on-site but in order to maintain our stock levels we do ask that you pre-order your bait. We have equipment for hire. Let us know in advance so that we can be sure it is ready. You can find out all you need to know about our lake rules here. Find out all you need to know to make sure you reach us relaxed and ready to enjoy. Catches: Most fish to far margins. 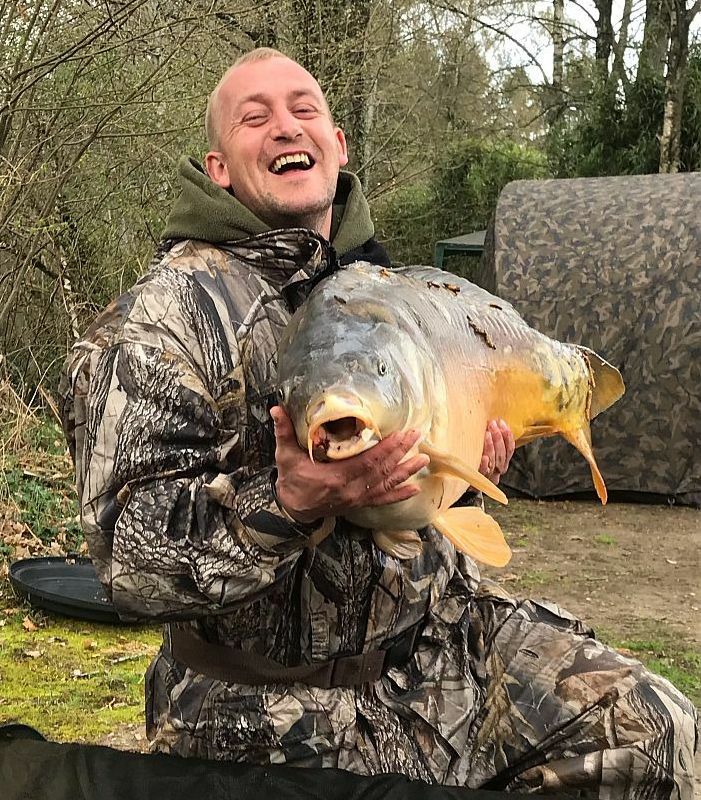 PB's for Ben 49lb 12oz. Johnny 35lb 8oz & Toby 50lb 2oz. Tactics: Boilies tipped with maize. General Comments: Great place. Great hosts. Can’t wait to come again. Thanks Heather & Larry for a great week. Tactics: Single baits on Ronnie Rig. General Comments: Best holiday we have had in France. Been coming to France 10 years. First time here, food is 5*. Heather & Larry were great, looked after us in all aspects of the holiday. Name: Andy Kind, John & Andy Towers, Steve Ryan. Catches: 27 fish. 1 x 57lb PB for John, 4 x 40’s, 13 x 30’s, 8 x 20’s, 1 x 19. General Comments: Larry & Heather couldn’t have been better hosts. Excellent food package, had a fantastic trip. Already booked for our next trip. Many thanks to you both. Andy & Andy, John & Steve. Name: Matthew & Robin Buck, Mark Wiggins. Catches: 10 fish. 3 x 40’s 3 x 30’s 4 x 20’s. PB Common & PB Mirror for Robin. Tactics: Single baits, small PVA bags. General Comments: Brilliant facilities. 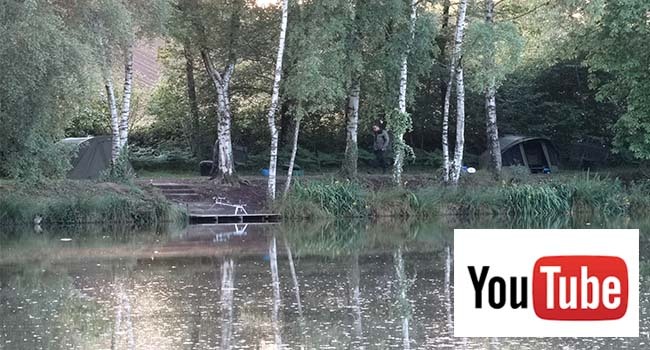 Lovely lake, wonderful hosts, superb food, fish in great condition. We will be back.